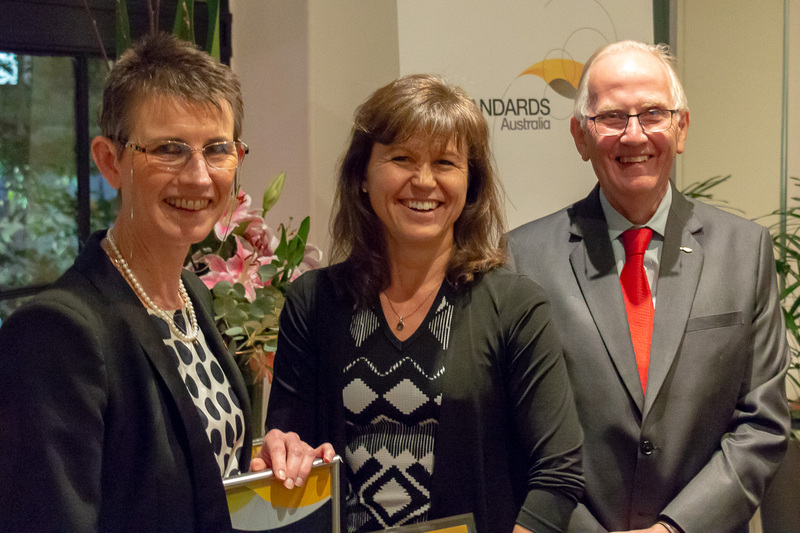 The Standards Awards are presented to those who have made significant contributions to standardisation and demonstrated outstanding service in enabling Standards Australia to attain its objectives. 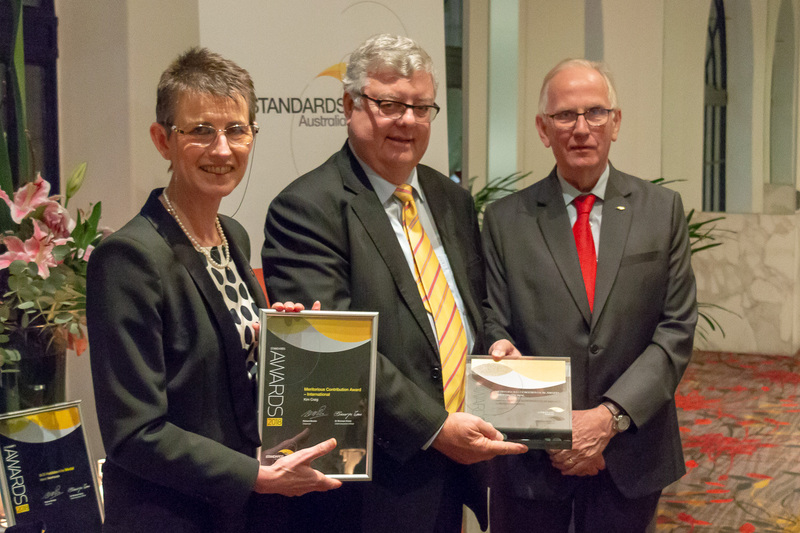 Six awards were presented on 10 May 2018 in Sydney by Standards Australia Chairman Richard Brooks and Chief Executive Officer Dr Bronwyn Evans. Kevin Newhouse has played a pivotal role over the past two decades in not only the development and review of hundreds of Australian Standards, but also in establishing the minimum necessary NCC requirements for safety and health, amenity and accessibility, and sustainability for buildings throughout Australia. He has demonstrated outstanding leadership and high levels of engagement with Governments, industry, and the community while delivering these outcomes. In particular, Kevin has provided invaluable knowledge and support during the development of documents for NCC purposes, which references over 140 individual Australian Standards relating to building, construction and plumbing matters. For over 20 years, he has demonstrated an unyielding commitment to uphold the consensus spirit of standards development and has been involved in the delivery of many standards development projects in the area of building and construction, access and mobility, plumbing and drainage, for which the entire Australian community has benefited. Kevin was also heavily involved in the smooth transition of WaterMark from Standards Australia to the ABCB, including the processes associated with recognition of Australian Testing Standards for plumbing products prior to their conversion to WaterMark Technical Specifications. Additionally, Kevin has been actively involved in a number of very high profile standards, including AS 3959, Construction in bushfire prone areas and AS 1428.1, Access for people with a disability. He has helped produce documents suitable for regulatory application while achieving adequate levels of health, safety and amenity for occupants. 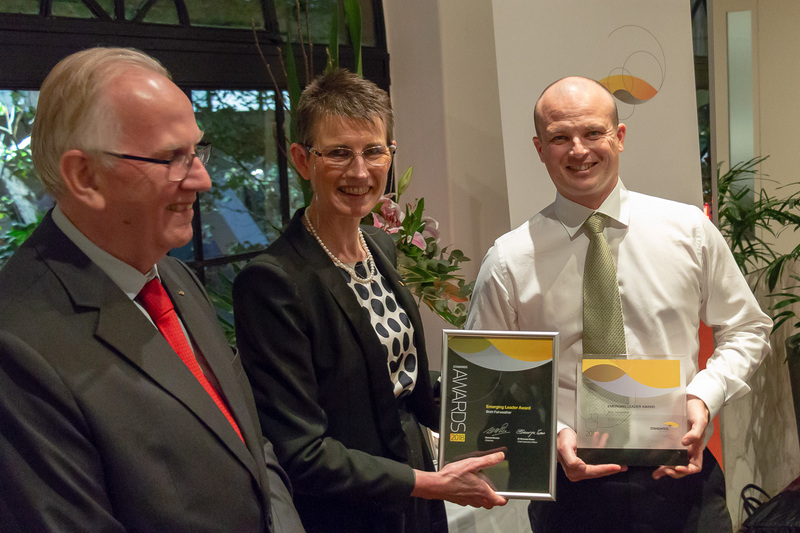 It is this incredible breadth of experience and knowledge, tireless dedication and commitment to excellence which has seen Kevin become one of the most respected contributors in Australia to building and plumbing regulation. Susan has been involved in the Australian pipeline industry for over 20 years. She has been on standards committees for 15 years, and is the Chair of the Australian Standards Committee ME-038, Petroleum Pipelines, and is an active member of all of the subcommittees associated with ME-038. Susan has demonstrated excellent leadership of the main committee, while providing active support and assistance to ME-038’s six subcommittees. With her guidance the committee has been timely and coordinated with a substantial work program revising six standards simultaneously. She works in the industry as a writer, speaker and facilitator in the areas of quality and risk. The wide range of experience and exposure allows her to share her technical knowledge in the role of Chair. In addition Susan is the Drafting Leader on two of the committee’s revision projects. With Susan in the role of Chair, ME-038 maintains its reputation as a respected committee that runs itself. Kim Craig has been an active participant in standards development for 16 years, having a diverse background of knowledge spanning lighting, ICT, electrical and electronics manufacturing. He is an active member of EL-041 and was previously a member of QR-12 contributing largely on important issues affecting the lighting industry. He has served on the Council of Standards Australia since 2009. At an international level Kim is currently appointed to the IEC Standardization Management Board, a position he has been in since 2012. As an active SMB member Kim has participated in a number of ad hoc groups that undertake short term studies on specific topics. He convened ahG 54 LVDC which has now evolved into System Committee LVDC with direct responsibility for electricity access in developing economies. Kim is convenor of ahG 80, Clarification of System Concepts which is charged with defining the role and deliverables for systems work in the IEC. Kim was elected to the Finance Committee of the IEC in October 2017 with responsibility for budget preparation and advice to the Treasurer. Kim has recently been appointed as convenor of IEC SEG9 - Smart Home/Office Building Systems, a group dedicated to evaluating technology trends, reviewing an inventory of current and proposed international standards, and developing a roadmap for building automation standards. 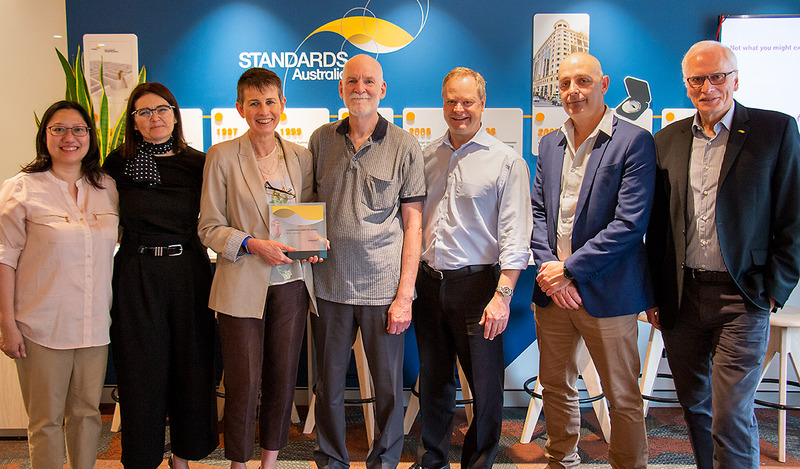 Brett was introduced to the world of standards by invitation back in 2011 to participate in the revision of the Australian Standard for Mechanical Ventilation in Buildings. A mechanical engineer, already familiar with many aspects of the AS 1668 series of ventilation standards, Brett took this invitation as an opportunity to contribute something back into the industry, based on his own experiences. Since then Brett has taken on the role of Drafting Leader a number of times, and recently took over as Chair on the Sub-committee covering Fire and Smoke Control. Brett actively seeks to ensure harmonisation between standards, including those under the portfolios of other Technical Committees. He is also active in the submission of public comments for a range of other standards where there is an opportunity to improve coordination. In addition Brett shares his knowledge across the industry through the development and presentation of a range of training courses, events and informative articles for a number of industry bodies. This in turn has allowed Brett to gather feedback from the industry, which then informs ongoing improvement of the standards. 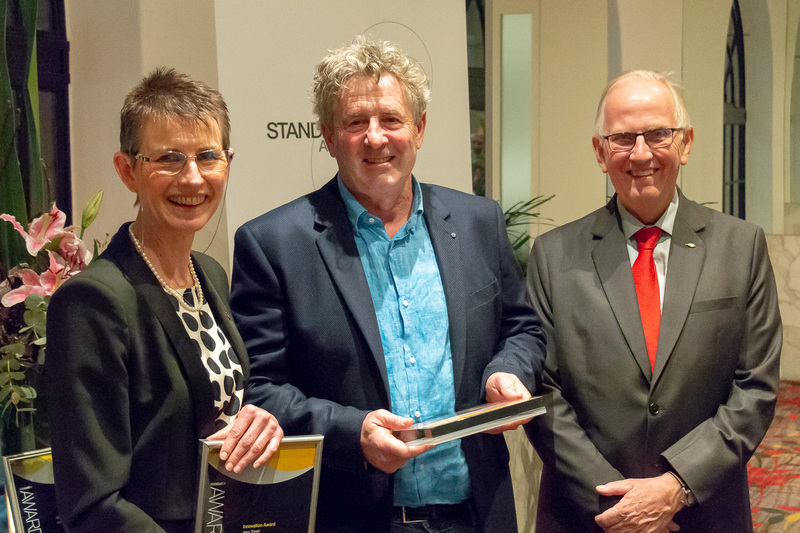 When the Standards Australia Incubator was launched, Jerry jumped at the chance to explore innovative approaches to the delivery of standards content. In particular he is passionate about how information can be presented in new and intuitive ways which will deliver large scale benefits to the building industry in Australia, and around the world. 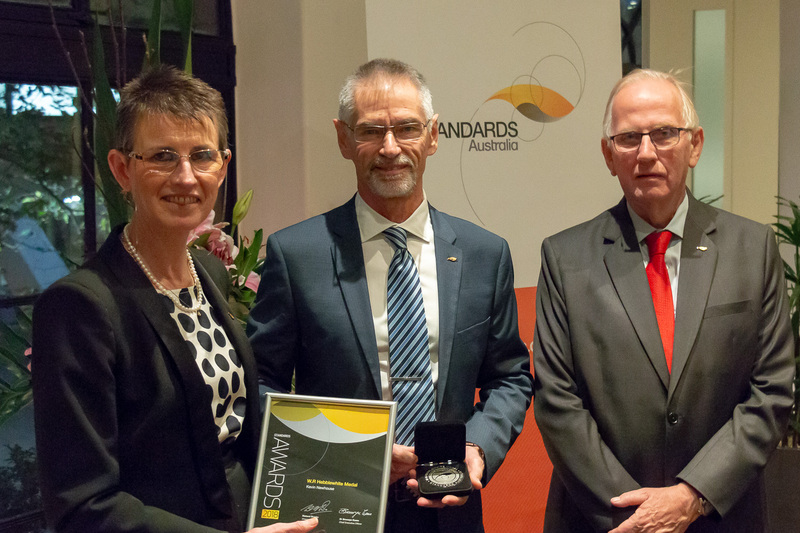 He has worked tirelessly with Standards Australia on his ‘visual standards’ prototype, a concept being developed for standards which are most often used in the field. Through easily understood pictograms and diagrams, the prototype allows users to quickly identify the information they need. The concept has been initially tested using AS 4654.2, Waterproofing membranes for external above-ground use, Part 2: Design and installation. Although in early stages, the feedback from test users has been extremely positive. Jerry believes the entire Australian community stands to benefit from standards which are available in intuitive and accessible formats, which are tailored for the end user and which, ultimately, allow them to perform their tasks, build products or deliver services, in a cost effective and compliant manner. Spectacles are a key health area affecting quality of life for many Australians. MS-024 has made a consistent and high quality contribution to the net benefit of Australia for a number of years. At the international level members of MS-024 are highly respected and influential, participating on ISO TC 172/SC7, Ophthalmic Optics and Instruments. 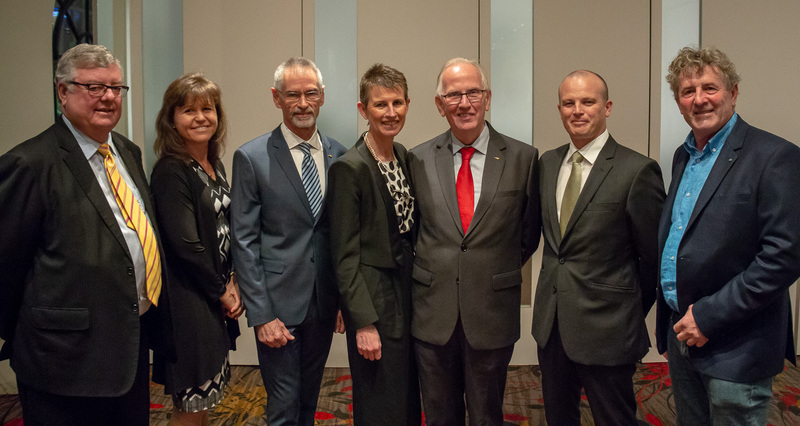 The committee is equally active at the national level, meeting and communicating often to discuss matters that are a priority to industry and end users in Australia. Standards Australia was also able to host ISO/TC 172/SC 7 in Sydney late 2016 with the support of members of MS-024. The same members then went on to lead some of the projects at that meeting with great success. Annette Clayfield-Hoskin, the Chair of MS-024, has made a significant contribution which has come from her background balanced between research and professional expertise. There is also an honourable mention to Dr David Atchison, previous Committee Chair, for his thirteen years of service to the committee.